You can access Bwin through the club’s website and also through the online partners of Bwin. You have all these option in only one sportsbook. Bwin’s philosophy is focused on the top sponsorship, sports, games and involvement. 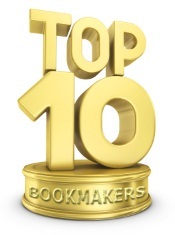 This bookmaker has a very attractive site, easy to use. The main events are always on the front page, so you do not have to worry about searching for them. It also offers you a great live betting system, where you can create tickets until the last moment, because everything moves very fast. For the beginners, Bwin has a very good helping system. Opening an account on Bwin is very simple. It has a standard sign up application where you should use your username and password, after which you will have to choose your safety question and remember your answer, because you will be asked to write it every time you want to make a withdraw. You can also choose the currency you wish, but you have to keep in mind the fact that you will not be able to change it later. You also get the possibility to choose the language in which you will have the information displayed. Your account will be created immediately and you can deposit your first money right away, in order to start betting. On your first deposit you will receive a sign up bonus that you could cash out at your first withdraw. The mostly used card to payment methods at Bwin is Visa, but you can also utilize Moneybookers or you can deposit the cash through banc transfer, Neteller or Western Union. The minimum deposit is of 10 Euros and in a couple of moments after your deposit you can start betting. You will be happy to find out that you have a free withdraw once a month. You can cash out maximum 5000 Euro per month and the Sportsbook sends the money in 24 hours. Bwin is one of the best gamebookers from all over the world, when it comes to the betting offers. It offers a great number of sport events, from several leagues in football, tennis, basketball, formula1, winter sports and many others. You can bet on different sorts of things like: European handicap, Asian handicap, double chance, under/over, the right score, the first goal and many others, depending on the sport you want to bet.